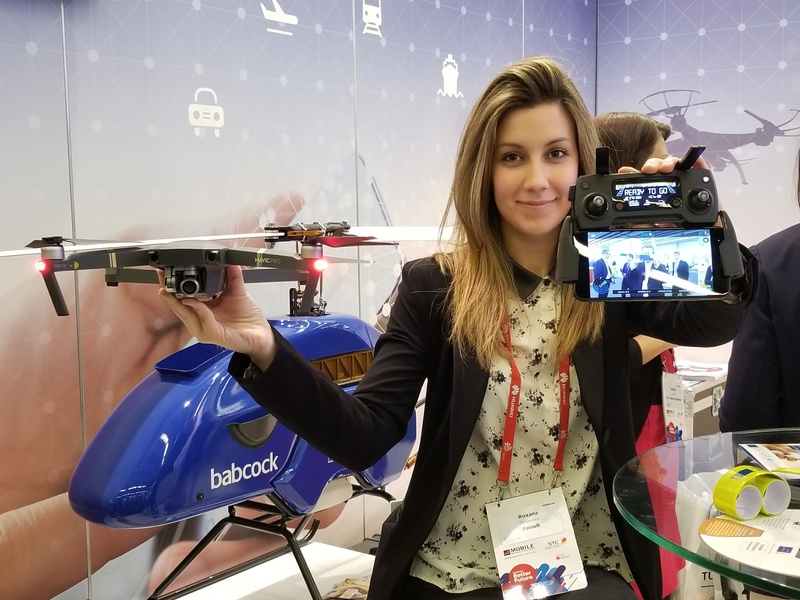 BARCELONA—The European Global Navigation Satellite Systems Agency (GSA) showcased a range of applications for drones and unmanned aerial vehicles (UAVs) through several government-funded programs at the Mobile World Congress here. One of the projects tests mission-critical situations through photo surveillance, live unmanned aerial vehicle (UAV) images and crisis management, said Harald Skinnemoen, Ansur founder and CEO. The tests supported DJI drones, which controlled the camera. “It gives, say a fire department, quicker interaction with a drone pilot to respond quicker to a fire or other emergency,” Skinnemoen said. Another project, called GAUSS, measures position, velocity, and precise time (PVT) for individual drones to enhance navigation performance and maneuverability. The agency said that more than 30 cellular phones, including Apple’s iPhone, now use the Galileo satellite navigation system. GSA also said companies can got its website to get better accuracy for their app development, including those for location-based services. In a panel on industrial IoT, one panel member is using GNSS to help farmers plant and harvest crops worldwide. “If you ate food today, it was probably harvested by farmers using our equipment. People think of us as an equipment company, but we have GPS precision navigation, touch-screen displays, cloud-based units using 3G or 4G, and 150,000 active [systems] in 60 countries,” said John Stone, John Deere, senior vice president, intelligent solutions group. With narrowband IoT coming, John Deere will have the ability to have an in-field static sensor that can monitor a single plant, Stone said. “This means the amount of water and nutrients needed. The telematics we have allows us to do that,” he said. A few days before MWC, u-blox rolled out its F9 technology platform that is tailored for mass market industrial and automotive applications. The platform features GNSS technology paired with dead reckoning, high-precision algorithms and several correction data services, the company said. “We want to bring meter-level GNSS to the mass market for automotive, UAV, robotic and other applications. This includes heavy machine and other industrial applications,” said Florian Bousquet, u-blox market development manager, who said the platform will be out within a month. Slovak Republic-based Sygic rolled out its Driving Assistant feature for Ford vehicles’ Sync 3 service. Driving Assistant, which is voice-controlled, allows drivers to ask about nearby rest-stops, restaurants, hotels, and traffic jams along route. “It’s a great partnership with Ford, not competitive, but supplemental. 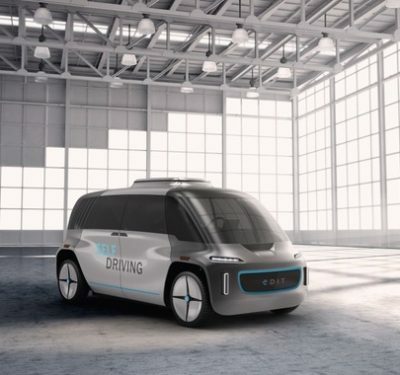 Driving Assistant allows users to connect their smartphones to get information and technical [data],” said Stefan Janciga, Sygic vice president, automotive business unit. Driving Assistant provides users access to GPS mapping tools, real-time traffic data, parking advice and information about gas prices. “Drivers can find gas stations to fill up, determine low-tire pressure by pressing the Sygic button,” said Francisc Juras, Sygic automotive product manager. 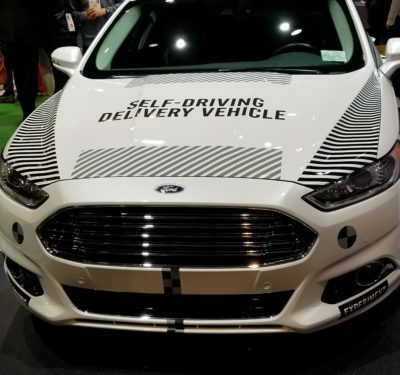 Driving Assistant, which uses TomTom mapping data, links with Ford Sync 3 AppLink vehicle touchscreen through the automaker’s Smart Device Link (SDL) technology. More than 60 percent of mobile operators are using Comtech services, including the company’s indoor/outdoor positioning system, in their network deployments, said Jay Whitehurst, Comtech president, enterprise technologies. “Seemless indoor and outdoor is an amazing area of location. We have 80 mobile operators for location [services],” he said. The system provides meter-level positioning accuracy when GPS or high-accuracy network positioning are not available. Whitehurst said Comtech had several expressed themes they worked on at MWC: IoT, 5G and a path toward migrating the company’s messaging and location services to a microservices architecture. “The moves to Edge computing is happening where everything is virtualized. You do mobile upgrades, then boom, you are there,” he said. Edge computing was a big buzz phrase this year at MWC, where all of data processing is delivered in, basically, edge locations. It is an intermediate tier between cloud and traditional datacenters.